FES vs AFO: Which is the Best Treatment For Foot Drop? Foot drop can make walking and other everyday activities very difficult, compromising your independence and your way of life. But with the right treatment, you can get your mobility back and potentially regain voluntary control over the affected foot or feet. The question is, which would be the best treatment for you: FES (functional electrical stimulation) or an AFO (ankle-foot orthosis)? The main factor in the FES vs AFO debate is the underlying cause of the foot drop. In other words, it depends which part of the nervous system is affected: central (i.e. the upper motor neurons, which run from the brain down the spinal cord), or peripheral (i.e. the lower motor neurons, which run from the spinal cord to the limbs). If there is nerve trauma in the limb or lower spine (the peripheral system), FES won’t work as the reflex arc from the limb to the ganglion is broken. However, ankle-foot orthoses can still be very effective as a means of preserving soft tissue length and biomechanical alignment, preventing deformity, regaining stability and mobility, promoting healing and managing pain. If you have a central nervous system disorder like cerebral palsy or multiple sclerosis, you have a choice between an AFO and FES. While ankle foot orthoses can be very effective for regaining mobility and preventing deformity, their main functions are to stabilise the ankle and foot and provide a lift to the foot, enabling more efficient walking. The action of the AFO is to mechanically lift the foot without trying to replace the muscle action. By contrast, functional electrical stimulation uses the existing nerves from the muscle to the spinal cord to contract the muscle. By using the body’s own muscles and nerves, there can be some rehabilitation from exercise and muscle memory can be rebuilt, in turn developing your responses to everyday activities. Many patients find that there is a continual carryover and continued improvement in their daily mobility when FES is used. The WalkAide is a lightweight, wireless, single-unit FES system worn just below the knee. This stimulates the nerve to lift the foot at the right time as you walk, leading to a more natural, safe and efficient walking pattern. Ultimately, a WalkAide can help you regain voluntary control over the affected area by restoring reflex responses and complex function through sensory feedback. This allows for redevelopment of the muscles, helping you to regain your independence one step at a time. To sum up, foot drop patients with damage to the peripheral nervous system need an AFO to support the foot to regain mobility. Those with a central nervous system disorder have a choice, but may be better off opting for an FES system as this can help them regain control over the affected area, resulting in a greater sense of freedom. 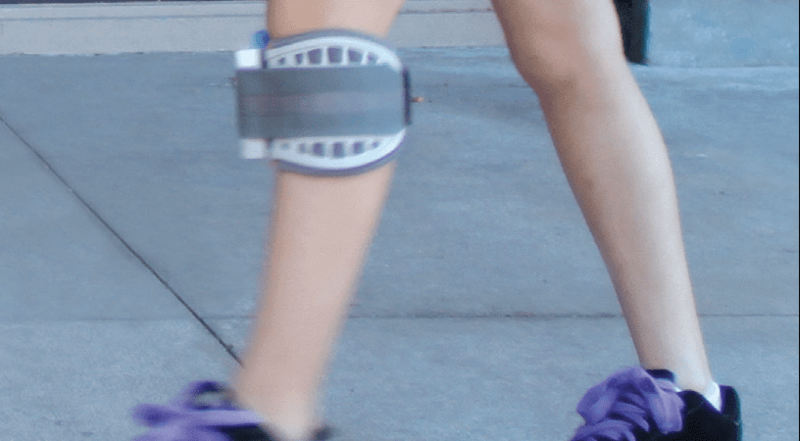 If you are still undecided between an AFO and FES, Technology in Motion can help you choose the best foot drop treatment to suit your condition and your lifestyle. Call 0330 100 1800 to book an assessment at your nearest clinic and we’ll take a detailed history, carry out a physical examination and discuss your needs with you in detail to help you find the right treatment.